CANEGROWERS works to ensure sugarcane businesses are environmentally sustainable as well as productive and profitable. Growing cane next to the World Heritage Listed Great Barrier Reef, with some of the most variable climatic conditions in the world, means the Queensland sugarcane industry has developed a culture of innovation. Water quality and the health of the Reef influence continual improvement. The CANEGROWERS Position statements on Reef regulations, Smartcane BMP and vegetation management are available for download. Modern sugarcane farming practices, that ensure water leaving farms is as clean as possible while also improving productivity, are now widespread through the Queensland industry. Read about these practices and some of our farmers in the Cane to Coast pages. CANEGROWERS members are keen participants in government programs to improve water quality for the Reef, investing $1.80 for every $1.00 of government funding in programs including Reef Rescue, the Reef Programme and Reef Trust. CANEGROWERS argues that the current regulations on farming practices in the Great Barrier Reef catchment should be repealed as they are not the best mechanism to achieve a high standard of environmental practice and instead they promote a minimum standard and stifle innovation. CANEGROWERS believes that Smartcane BMP, and its focus on continual improvement, is the better approach for growers focussed on productivity, profitability and sustainability. 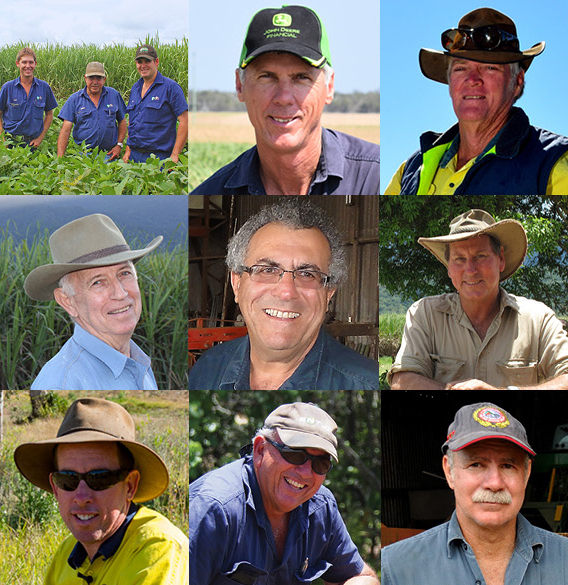 Smartcane BMP is the sugarcane industry's voluntary best practice program. Its three core modules cover the practices listed above and have a clear water quality focus. CANEGROWERS is working to achieve recognition for Smartcane BMP under company and industry sustainability frameworks. Some of these include Vive. ProTerra and Coca-Cola. Through the efforts of CANEGROWERS, Smartcane BMP already has alignment with Bonsucro, the international standard for sustainable sugar. Growers accredited in the core modules of Smartcane BMP are deemed by the Queensland Government to be meeting its requirements under regulations to protect the Reef. This recognises that growers are demonstrating their environmental stewardship of the land adjacent to the Reef lagoon. CANEGROWERS supports efforts to identify and refine the optimal rate of nitrogen consistent with achieving both improved profitability and reduced impact on water quality. CANEGROWERS is working with Sugar Research Australia, industry extension bodies and the Queensland Department of Environment and Science along with experts in nitrogen use and soil health to review the latest research on nutrient management. The use of herbicides and pesticides is an important component of crop management and it is in the interests of both growers and the environment that such chemicals are used efficiently, carefully and in accordance with label requirements and any other regulatory obligations. CANEGROWERS organises and supports grower training in the application, handling and storage of chemicals. CANEGROWERS also supports and promotes programs that mange chemical drums and unused chemicals such as ChemClear and drumMUSTER. Shirtan® is a fungicide used by approximately 80% of cane growers to treat pineapple sett rot disease. Shirtan® contains mercury and the Australian Government has indicated the phase-out of Shirtan® would occur in 2020 based on Australia’s possible ratification of the Minamata Convention on mercury. CANEGROWERS has worked with the wider industry and the Department of the Environment and Energy and provided advice to the Australian Government that the majority of industry favours a move away from Shirtan® to alternative fungicides. Rats can cause damage to sugarcane and the overall productivity of a crop. Growers are allowed to bait rats, however there are conditions that must be followed for baiting to occur. The two species of native rat, the ground rat (Rattus sordidus) and the climbing rat (Melomys burtoni) are native grassland animals and are protected under the Nature Conservation Act 1992 and their control is subject to the Queensland Government issuing a Damage Mitigation Permit. CANEGROWERS has secured an industry-wide permit to bait rats which avoids the necessity of individual growers applying for individual permits. Growers baiting for these rats must keep a record and provide this information to their local Cane Productivity Board. Following representations from CANEGROWERS, a special permit for the aerial baiting of rats via helicopter or UAV in the Herbert River and Mackay districts. CANEGROWERS has produced a Fact Sheet on rat baiting in Queensland. The vast majority of sugarcane in Queensland is now cut green and the leafy matter is left on the paddock to become organic matter in the soil. However there are circumstances under which sugarcane is still burned prior to harvest. Storm damage or flood debris in the cane or an unusually large and leafy crop means it could be dangerous or difficult to cut green. CANEGROWERS has collated the relevant cane firing guidelines to assist growers with the permits, approvals and notifications required before cane is burned. This document is available on the Member Resources page or by emailing CANEGROWERS.